The Illinois DUI eye test is called the Horizontal Gaze Nystagmus (HGN) test. Carbondale, IL criminal lawyer Brian Roberts has extensive training and experience evaluating on the proper protocols of the HGN. Nystagmus is simply an involuntary jerking of the eye. NHTSA considers the HGN as the most reliable indicator of all three of the standardized field sobriety tests. This is also a test you cannot practice in order to increase your performance. There are three clues that you are .08 BAC or higher the officer is trained to look for in each eye. The officer looks to see if each eye lacks smooth pursuit, has distinct and sustained nystagmus at maximum deviation (as far to the outside of your eye as you can move your eye), and onset of nystagmus prior to 45 degrees. There are a number of valid defenses to the HGN test, including, but not limited to: natural occurring nystagmus, improper movement of the officer’s finger, pen, or other stimulus he asks you to follow, lights or other rapid movement in your field of vision, medically induced nystagmus, and other forms of nystagmus that mimic HGN. Under NHTSA protocol’s, if the officer counts four or more clues there is supposedly an eighty-eight percent chance that you will test .08 or higher BAC. Of course, this is only true if this test was performed in accordance with NHTSA protocol standards, and you do not have any other form of nystagmus, or naturally or medically induced nystagmus. 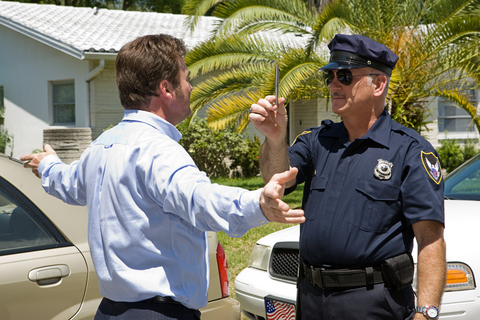 You should be aware that Illinois DUI law does not require you to submit to this examination by the police. There is no penalty for refusing this test either before or after you have been placed under arrest for an Illinois DUI. Carbondale, IL criminal lawyer Brian Roberts does not recommend you submit to this test if you are under investigation for an IL DUI. If the officer asks you to perform this test, politely decline and ask to call Mr. Roberts immediately. If you have been arrested for an IL DUI call Mr. Roberts for a free, confidential case evaluation.